"Visual Pharmacy Plus": Abacus POSRx™ "Point of Sale Register"
Abacus POSRx™ "Point of Sale Register"
The Abacus POSRx™ is a fully integrated system with bar codes scanning, customer pole display, receipt printer, cash drawer and high technology for remarkable ease of use, whether you want one or one hundred registers connected together. 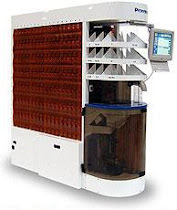 The POS system for pharmacies provides interfaces in real-time to our Visual Pharmacy Plus software. 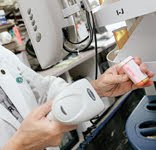 As your prescriptions are filled by the pharmacy system, your point of sale is instantly updated with the Rx number, co-pay, patient name, drug code, and all other relevant information. 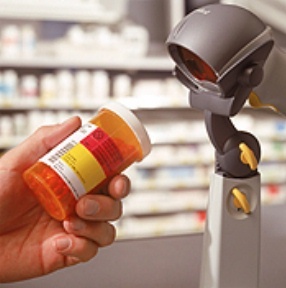 Your customer picks up the prescriptions and any OTC’s which are then scanned through the point of sale, once the sale is complete, the prescription software is updated and a message is sent back to the Visual Pharmacy Plus system and instantly updating the queue to “puck-up”. The POS will also provide a detailed prescription report which will assist you in auditing your will call on a real time basis. 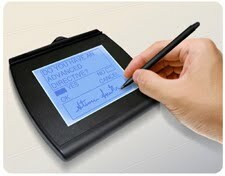 Contact us today and experience the AbacusRx™ POS difference.